The Importance of the Court – Mark Loves History! 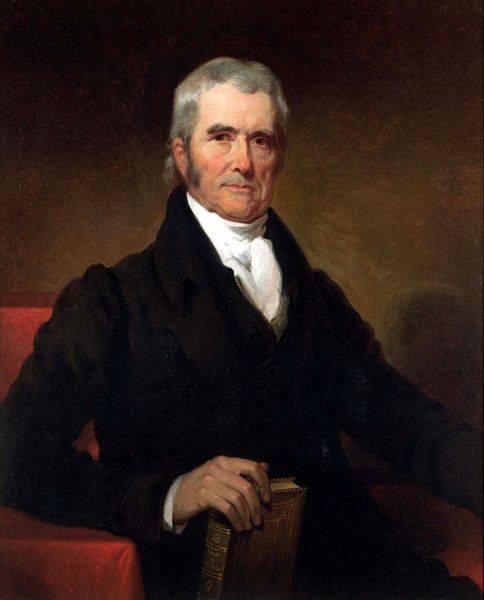 Today in History, January 31: 1801 – John Marshall is appointed as the fourth Chief Justice of the US Supreme Court. His decisions would make the Supreme Court the true 3rd segment of the American Government, a “check and balance” of the other two. This only gives us faith in our government when the court makes decisions based on law, and not on politically biased opinions. Marshall, the longest serving Chief Justice, would serve for 34 years, taking part in over 1,000 decisions. He would affect law through six presidencies.